← Is the Resurrection Mysterious? Ten Commandments on Government Property? There are so many lawsuits and appeals related to the display of anything religious (Ten Commandments monuments, crosses, nativity scenes) on public property. An incredible amount of time, energy and money are spent on these legal battles. Should this matter at all to Christians? I fail to see the victory that will be won in keeping the Ten Commandments on courthouse lawns. I wonder if monuments and nativity scenes on government property are like the broad phylacteries and long fringes that Jesus condemned (Matthew 23:5). Could they be empty symbols that give us false confidence in our righteousness — personal and national? Maybe we should reconsider that second commandment on the monument: “Thou shalt not make any graven image” (Exodus 20:4). There is an important difference between Christianity and patriotism. God does not require national endorsement (and refuses to endorse presidential candidates, I’m sure). Christ is not dependent upon Caesar to proclaim his kingdom. I just don’t believe God is that concerned with granite monuments. Instead, I believe the apostle Paul expresses God’s greater concern: “…you show that you are a letter from Christ delivered by us, written not with ink but with the Spirit of the living God, not on tablets of stone but on tablets of human hearts” (2 Corinthians 3:3). 14 Responses to Ten Commandments on Government Property? I have been battling my own strength, working on opening up privately & publically. I am taking a huge leap to put myself out there, but feel compelled to respond to this post. I see memorials for all types and kind of people. Every Race, Ethnicity, and Religious person there is on this earth. Every culture in every country has statues, plaques, paintings, and fictional movies, on Fictional movies, and honoring all our types of heroes across the board. It all need for us here and in the now, but any of this need for God. I definitely say No. We use these items as good tools for reminders, explanations, teaching tools, and even for wrong reasons. What we tend to forget when teaching and even learning ourselves about God, the bible, Jesus and everything in-between is we have all we need with-in our self. My significant other and I were chatting and he said it so purely “we are created in his image”; now, with that said Nothing is needed, just to be the Spirit of God as we were made in his image to be and do. At first, I was totally prepared to contradict this position, i.e., that it is not important for us to keep God represented in the realm of government. After all, our country was founded on religious principles and leaders, well early leaders, sought His guidance at every turn. However, upon further thought, I realized that God doesn’t care and doesn’t need to be ‘flaunted’ on our money or in our halls of government. He wants to be first in our hearts! If He is first there, the rest (one nation under God) will follow – should He choose! But surely, we will be living under the reign of THE King in His spiritual Kingdom. God bless. Janice, I love your explanation of Jesus as the representative of the first fruit. I honestly had not put his resurrection in the concept. BRAVO!! In reference to Birdie’s comment: The encounter of Jesus with His two disciples on the road to Emmaus perhaps they did not recognize their master because of their own self pity and nostalgia. In reading the story one notes that the disciples were so trapped in their past and even filled with self pity that there was no way they could ever recognize Jesus. Is this not the same thing that happens to us as Christians sometimes that we get so caught up in the past and our own self pity that we do not recognize Jesus and his place in our life. Our country was founded on the Judeo-Christian principles that include the Ten Commandments, was it not? Not so very long ago it was not even questioned that these commands be displayed prominently in government buildings, not endorsing one religion over another, but reminding all who enter these places that our nation at one time, at least, was a nation that recognized God as the Creator and source of these commandments. Does any other nation display the 10 Commandments in their gov’t bldgs. as the US does? We do not display the Pillars of Islam, Hindu tenets, Scientology guidelines for living, etc., in our gov’t. buildings. For good reason. Heaven help us if that ever happens. Were you there when the founders wrote up the Constitution? They prayed, invoking the Almighty to guide them, I understand. If I were going to court for any reason, it would give me hope to see those ten commands displayed prominently to remind ME that God was influential in the establishment of this nation, flawed though its institutions may be. It’s still the best nation on Earth! God doesn’t need the Ten Commandments displayed, perhaps. But we do. Are the Ten Commandments even displayed, much less prominently, in our churches? Carol has made a very important and well noted critique of the pastors blog. Our nation was founded on the principles of Judeo-Christian principles which have been slowly diminishing within our nation and even within the Christian society. I can remember, not so many years ago, when I attended school every morning we recited the Lord’s Prayer and the pledge allegiance to the Flag of our nation before any classes started. Carol has asked a very important question: “Are the Ten Commandments even displayed, much less prominently, in our churches?” People today are searching for a connectedness with something or someone else. This is evident in how the morals, values and principles of individuals have changed. Pastor Corey in reference to your comment: “Maybe we should reconsider that second commandment on the monument: “Thou shalt not make any graven image” (Exodus 20:4).” Would not the Crosses found within our churches and homes and the images of Jesus hanging on the cross be classified as graven images? Yes the Jewish men do where the Phylacteries which is also called Tefillin which is a black square leather box worn during morning prayers. But is this not the same as the Cross necklaces which both Christian male and females wear? It is that very commandment which the Muslims adhere to and the reason why there are no images or ornaments within their Mosques or homes. One of the leading principles in the Islamic faith is “that there is no God but the Almighty who created the whole universe: that none is worthy of worship but He; that He is the Lord alone, without partner, associate, or son’ that He did not beget nor was He begotten, and nothing is like Him; that He is the Just, the Merciful and the Powerful,” To a Muslim God is neither anthropomorphic nor acquaintance with his exemplary life. A good point about crosses, etc. Whether or not a cross is a graven image would depend on the attitude of the one who owns it. I think it is possible to focus on the actual symbol, and ignore the reality it points to. Thank you all for the lively discussion. There are many reasons to doubt America was founded as a Christian nation. I recommend Founding Faith by Stephen Waldman. Still, that doesn’t mean we shouldn’t have the 10 commandments on public property. It’s hard to disagree with any of them unless you’re a militant atheist, then you will disagree with the first two. I do think it is clear that the prophets (Jeremiah 31:33), Jesus and Paul placed much higher priority on actual spirituality than symbolic. 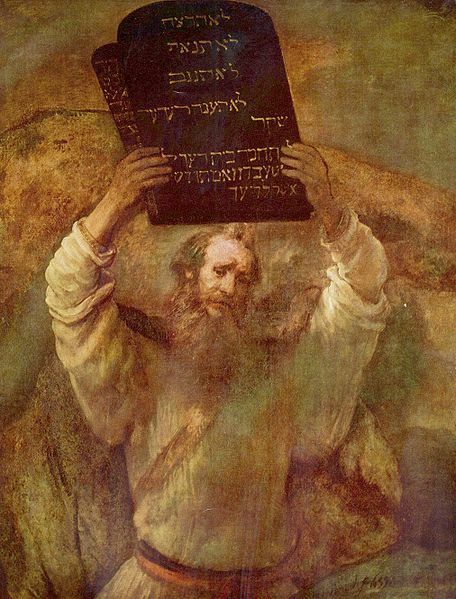 A victory in the ten commandments battle could only be a symbolic victory. Christian, but included Deist, Unitarian, even maybe atheist. But, obviously, they were able to work out agreements such that the people could agree to accept as binding. And, when these early government buildings were built, were there protests in the streets to halt any display of the Ten Commandments and Moses and the Apostles, etc? As to the cost, these are pitiful pittances compared to the ultimate sacrifice of the Savior’s blood on the cross. This doesn’t have anything to do with the subject, and Pastor Corey had probably mentioned it before, but I didn’t realize what “The Other Six Days” meant until Corey mentioned it this morning. Sunday is not the only day to learn about God, nor the only day to “act” like a Christian. The other six days are so important. Thanks Corey for this blog. The select few who were part of creating the American government were no doubt Christian’s heart and soul. I may get a little flack for this, but here I go. We Americans is a loose term, as our money, Bill of Rights, Constitution, and Etc have come from a majority ruled Judeo-Christian belief. Everyone get mad, sad, or frustrated when e refer to taking pray out of schools, God off Our Money, Religious statues out of government buildings. We tend to forget a big important part of history, why we came to this country. No one person can stand here and say they are a true American. Unless you can trace your complete linage to a Native American, we are all immigrants. As this, we came here knowing a better life was ahead. Freedom to practice our religious beliefs the way we choose to, not by being told how. Holding on to idols, pictures, necklaces, gives historical references, are not what my love of God is or will ever be. I have battled years with the hypocritical ideals that we need to have emblems on our walls, words on our Money, or have religious things and ideals in our schools and government. I know I have come to terms in my heart that if they want to remove it from those areas fine, it will never stop my love or desire to teach our children. I also see that our great men of the majority may have created this great Nation as they saw foot; I am not blinded by a Minority who had no say in what their native land would have become. Leave with a question, what would out governmental Documents, laws, rules and all would be if we did not take control of this land? Lois, a great blog message. What civil rights are you willing to sacrifice in order to provide and guarantee your children and grandchildren the freedoms that our forefathers set forth and that you experienced as a child living in America? I always get the same remark from my students: “Professor Simmons this was the hardest question on the whole exam!” My students are from the Military, intelligence and National Security fields. Ann, what were some of the answers your students gave to this question: What civil rights are you willing to sacrifice in order to provide and guarantee your children and grandchildren the freedoms that our forefathers set forth and that you experienced as a child living in America?